A couple of months ago, I started a series on how to start a successful software business. Well, I'm finally back with the second installment of that series! I hope you are ready for a fun ride here. Today, I'm going to take you through some of the most difficult times in my business, Long Tail Pro. I'm sharing parts of my story that I haven't shared before, and I think there are some valuable lessons to learn. As a reminder, these blog posts are specifically targeted for those individuals looking to bootstrap a software business. I really want to point out the word “bootstrap”; meaning you are not going out borrowing or raising money to get your product off the ground. Raising money or borrowing a bunch of money from friends and family is a whole other ball game. I don't think it's necessary to use other people's money to get your business off the ground. If you are not a developer (I'm not), you will need some money…but there are TONS of great software companies launched for less than $5k to $20k. I believe this is an amount within the reach of lots of people that are smart with their money and know how to save. So, today I want to tackle the subject that is going to eat up most of your start up costs if you are not a coder: hiring a great developer. One of the mistakes I made early on when creating Long Tail Pro, was that I first attempted to hire someone really cheap. I basically went over to Freelancer.com, posted a job for what I wanted, and started getting responses. I researched the bidders and found someone that had built a tool very similar to what I was looking for already. I took a deep breath, and pulled the trigger and hired someone for $2,500! Now you have to realize that at the time, I was still working a full time job and I wasn't exactly rolling in the dough. So, $2,500 wasn't just a small drop in the bucket for me. I also love the fact that he quoted that the project would be complete in 10 days! Well, you wouldn't believe it, but mr. “jay2success” did indeed deliver a working software product for just $2,500 in a couple of weeks! I kid you not, the first version of Long Tail Pro was completed in only a couple of weeks and cost me just $2,500. The software LOOKED terrible, but it did everything I had asked for. I immediately went out and started selling Long Tail Pro after some short beta testing with real users. I'll share in a future post how I initially sold the software and other details; however, I was indeed able to sell it and make my money back…barely. People started pirating the software because there was no licensing or security system in place. All that was needed to access the software was the download file. There was absolutely no purchase verification required once the software was installed. I actually knew this was this case, but I was going the CHEAP route! I wanted to get the software out the door as quickly as possible and see if it would sell…and sure enough it did! However, I think it was within 24 hours of when I started selling it, that a thread on one of the Black Hat Forums popped up with a download link. Oops! As a result, I knew the security issue needed to be fixed…eventually. However, the bigger issue that I was faced with after just 2 weeks was the fact that the software stopped working properly. The software relied on alot of data from Google, and Google changes how they display data…a lot! As a result, Google made one small tweak and suddenly my new piece of software was rendered useless. I immediately went back to my developer and asked him to fix it. He actually was able to fix the issue relatively quickly and I was able to release the next version of the software…phew!! However, less than a week later, Google changed something AGAIN! This began a constant game of whack-a-mole, where we would fix one little issue only to be faced with another issue a short time later. In addition to the constant update issues, I started to realize how difficult it can be to work with someone that doesn't natively speak the same language and sleeps while you are awake. It finally dawned on me, that perhaps I didn't have the right programmer for the job. He had moved onto other projects, and I just knew I needed to do more if Long Tail Pro was going to be a success. As a result, I made the decision that I needed to hire a new programmer. And not just any programmer…I needed to find the best programmer I could find! Give Me the Source Code, Bro! What happened next is a story that I haven't told very often…and it's a painful one. Luckily, it has a happy ending. When I posted my job to have the software created, it was obviously implied that I would be the owner of the source code. That's pretty much the underlying purpose of most freelance websites. You hire a developer and they give you the product and code for the job you hired them for. In exchange, the contractor gets paid. I asked my developer for the source code (so I could hire someone else to revamp everything). He said, “No”. What the heck is this guy talking about?! I basically said, “Give me the source code, bro”. Now, I remind you that all of this is taking place through skype chat and emails…and in broken English. My heart hurt. How the crap am I supposed to come up with $15,000 just to get the source code to some software that currently isn't working. And I shouldn't have to pay more in the first place, I had already paid for that when I hired the contractor! My business was being held hostage by someone I had never met, in a country I barely knew where it was on the map…with a few pages of code. I was about to open a dispute with Freelancer to get someone involved. However, I decided to take a deep breath and think through how each scenario might play out. I could pony up $15k and get my source code. However, I would still be left with “broken” code…and I'd have to hire someone else to fix it. And I'd be out 15 grand…ouch. I could dispute with freelancer and possibly get my code back for free. However, I'd still be left with the broken code and be required to hire someone else. Hiring the right kind of developer could be expensive. I could just walk away from everything and let the business fold. I could walk away from this developer AND the source code, and just start the business from scratch. I could probably hire someone for $15k to build a much better version of Long Tail Pro than I already had…and I'd have the source code of a superior product and be working with a better developer. I don't want to just brush over what a difficult and painful decision this was for me. I spent many days and possibly weeks trying to figure out what I should do (I was releasing little fixes in the meantime to keep customers happy). To exacerbate the issue, I was also just about ready to quit my job. 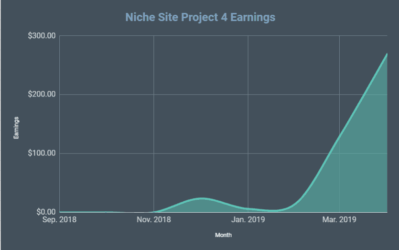 My niche sites business was doing really well, and I figured if I could make a couple thousand dollars extra per month with this Long Tail Pro thing…that would really give me the security I need. Now, I was faced with possibly folding the software business…and perhaps quitting my job wasn't such a good idea. I talked with my wife. I discussed it with my Dad. I ran through scenarios with my brother. I finally came to what I felt like was the best option given my scenario. I chose option 4. I walked away from my original developer and source code, and went out to find someone better. I had no idea how this would all turn out when I made that critical decision. However, it's now been almost 5 years since that decision, and I can tell you that is was the BEST decision I've made in my software business. 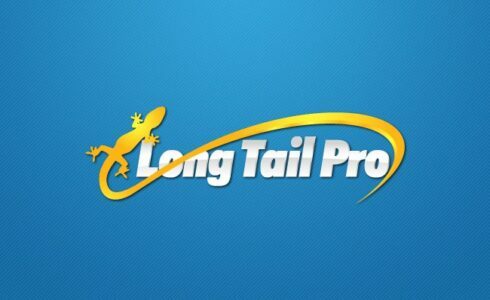 I was able to find a developer that exceeded my expectations, and Long Tail Pro has now become a product that is used by many thousands of people. Oh, and I was able to quit my job a few months later (March 11th, 2011) because I was now confident in the future of my business. So, I was faced with the task of finding a new developer. This would be my second time at hiring a programmer, and I felt like I had learned a couple of things with my first experience. It's easier to work with someone that speaks your language and lives in the same time zone. I decided that I would only hire a native English speaker that lived in the US. I needed to do a better job of describing what was expected out of the job. I wanted ownership of the source code. I needed software security/licensing system. And an ongoing agreement for fixes/updates to the software. I learned that hiring cheap might get something workable (for a short time), but the best developers charge more for a reason. I decided to focus more on hiring the best developer I could find, rather than price shopping. These 3 lessons may seem quit simple…and they are I suppose. But they can make or break your business if you don't think about these things before hiring someone. When I hired my first programmer, I did nothing more than exchange a couple of messages and look at some samples of work. I really didn't do any due diligence. I was looking at the sticker price. For the next developer, I decided I needed to be as thorough as possible before making a decision. This started with the job posting. And for the record, I found my great developer on Elance.com. I think there are LOTS of great developers on freelance websites, you just might have to do some digging. I posted my job on Elance and started getting responses almost immediately. I don't recall how long I left the job open, but at least for a couple of weeks. Most of the applicants were not native English speakers and were obviously “cheap”. I eliminated these right away. Made sure they fully understood the scope of the job. Made sure they responded quickly. (Some never responded at all). Asked for their opinions on the project. This again was to test their understanding of the job, but more-so to let them show that they can think of big picture ideas. I think I had 3 developers that did some back and forth with me via private messages. I ended up doing phone calls/skype calls with 2 of them. One of them clearly rose to the top and had a really good grasp on the job. I ended up hiring this amazing developer, and he is STILL the lead developer for Long Tail Pro almost 5 years later. Yes, he was expensive. But he's also an amazing developer. He can often do things in half the time compared to a less experienced developer. As a result, I get better work, faster…and the overall price is sometimes less because he does it so quick…and it doesn't break. Software development is notorious for “slip”. Basically product slip is when it takes longer to develop certain features than expected, or when the set of features starts expanding after development begins. Sometimes you get in the middle of a project and think, “Man, it would be awesome if we add this bell or this whistle”. And so you do. The only problem is that adding these bells and whistles makes projects take longer and get more expensive. I wish I had a sure fire way of preventing this from happening; but I don't. I will simply say that getting a beta or first version out the door is not the last time you will have to pay a developer. Software development is ongoing. With Long Tail Pro, I was able to get the first version (well, second version if you count the cheap developer), for about $15,000. That is a lot of money to spend right away! However, I actually had already been selling the “cheaper” version, which had brought in some money, and I knew for sure there was a market. So, even though $15k seemed like a lot of money, I had proof that people would buy the product. So, the risk was significantly less. 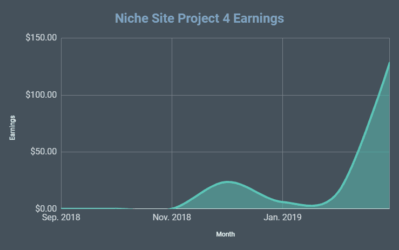 Unfortunately, that $15k is a very small drop in the bucket compared to what I've spent expanding, maintaining, and updating Long Tail Pro over the years. However, I've never once after that initial investment had to spend money that the business didn't have in the bank. I highly recommend you do the same if possible. I had customers buying the product, and I've always been able to take a small portion of those profits and re-invest in making the software even better. Sell it and validate the market. Take the profits from the business and reinvest in the business (this could be improving the software OR simply improving your marketing). Avoid debt and investors if possible. Overall, if you have a grand vision of your software, just realize that it is likely going to cost more to develop that grand vision than the first quote you get from a developer. Especially if you allow “product slip” to occur and the scope of the project continually expands into something even bigger than you initially anticipated. You don't need a tech partner to own a successful software business. I've run my business for years without a “tech partner”. However, depending on your situation, there could be some advantages to having someone more code saavy as an owner. The obvious bonus is that you don't have to pay for development costs up front, your tech partner can contribute his time and skills to creating a great product. This gives you the ability to focus your time on sales and marketing which is so critical to any business. The downside is that you may have to give up a large chunk of equity in your business. In addition, when profits are split 2 ways, it takes longer to build up a nice nest egg for you or the business. In a lot of ways, I wish I didn't have to see a bunch of money going out of my business to pay developers (if I had a tech partner). On the other hand, I would be paying out WAY more money if I had a 50% tech partner. For my business, it's been MUCH more profitable for me and the business to contract out all the development and labor when compared to giving up an ownership percentage. However, I'll leave the decision for you in your own business. A tech partner is likely to be more responsive, thorough, and thoughtful about software updates and really producing an amazing product. However, it could cost much more in the long run. Both ways can work great. But whether you hire someone or partner with someone, it's SO critical that you find that RIGHT someone. Hopefully, some of what I've shared today will help you find that right person. Overall, I hope you found some value in what I've shared regarding hiring a great developer. I believe there are plenty of lessons to be learned from my own story with Long Tail Pro. My journey certainly hasn't been the most direct one to finding a great developer, but I have found a great developer…and that's the key. I hope that your path can be a bit more direct to finding that great person to work with as you bootstrap your own software business. As always, I would love to hear your thoughts on the subject. Let's continue the discussion below in the comments. Wooaaah! I bet, people won’t find anyone on the internet as transparent as you Spencer! Thank you for picking this up again! I was hoping you would. Your first installment inspired me to venture out and create a piece of software myself! I tried niche sites, didn’t work so well. I tried developing apps and found out that the market is much harder to break into than I thought. So I resorted to using some app marketing tools, much like what LongTailPro does for keywords for websites. Lots of good iOS tools/services, not many good Google Play tools. This was right around when you started your first bootstrap installment! My budget was almost nonexistent. After purchasing the software certification ($450 DigiCirt) the WordPress ecommerce plugins, and a few other things I was left with little $. I ended up building it all myself using WPF technologies. I toyed around with Adobe Air, wasn’t my cup of tea (not sure if you remember me asking you about that in the last installment). I spent close to $1k. As for the time, took a lot longer than I thought. Product Slip == Understatement. 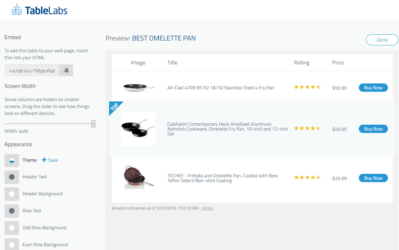 All in all, took me 2 months to build the software and about 1 month to put together the E-Commerce Site with all the support systems (customer service, affiliate system, emails….). Right now the hardest part is the marketing; press releases, reach outs and just trying to get the word out. Can’t wait till you get to that!!! Thanks Matthew! So glad that some of what I’ve shared has inspired you to start a software business! Looks like you’ve found an interesting idea; and were able to bootstrap quite well. Now the hard part begins as you’ve already discovered…sales and marketing. Actually, the marketing part starts the moment you start considering an idea (at least it should). The way you develop the app, your website, your target market…all of that is marketing. I will just saw briefly that content marketing has always worked well for me. Blogging, podcasting, forum posts, being a guest blogger, being a guest on podcasts…any type of content can help open doors for you. I’ll definitely be sharing more on the marketing aspect of things, and this is really where successful businesses are made. Thanks Spencer, great tips! Looking forward to it. As a developer myself, I’m curious to know about the other side of the equation. What’s the best way to market myself to small business owners such as yourself? I find myself in the same boat. Development, building software, websites or apps is not a problem. It’s the marketing and content writing. I’m an experienced content writer/marketer and would be more than happy to help you with content and online marketing. You can reply to this comment if you are interested in taking this further. Apologies to Spencer, since this is little off topic comment. I’ve always done well with content marketing. 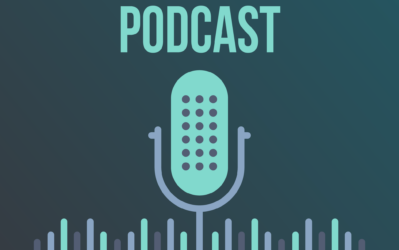 Start a blog or podcast…or reach out to bloggers and podcasters and provide great content to them and their audiences. Start connecting with people in facebook groups Delmania & Matthew. Business people that have an interest in making apps. I am looking at creating a few aps over the next few months and meeting people via Facebook is more ‘my cup of tea’ than just meeting freelancers on upwork, etc. Connect with people that will give you a slice of the pie too perhaps! ps: Really enjoyed your article Spencer! Thanks Spencer. This is a very timely article for me. I’m developing practice management software for CPA’s but need to hire someone for the things that are over my head. Wow that was a great read and funny to the fact that has happened to me exactly. I have and still do a Script software i bought the ownership rights for. All started to go well but the old owner didnt pass on the coder details so i was stuck. So i know a very small amount and looked at it but it mainly marketing thats my interest. I then out sourced on freelance and got ripped off twice. Also found out again my software was on black forums. So i decoded the script and add a license to each download. Now this slowed the bootleg version too. I am still selling the working version but now have a developers version that i wanted to go forward with. My dilemma now is i want it all working on a server based software so no more downloading but im finding it hard to get to grips of how to do this. I have a shared and a dedicated server but with so much information on the net its mind blowing so gave up. What kind of technologies did you build your software in? I purposely went with a Click Once installer. The installer is hosted in my S3 bucket and then I manually adapted the Click Once update software for my own needs. Two birds, one stone. I wrestled with the same issues as you, how to prevent bootlegs and pirating. I liked Spencer’s approach with the license check on start up and adopted the same style. This has two very beneficial approaches, it helps prevent pirating (not all the way, but it helps) and allows for a subscription based software business model. This brings up the next piece, license management. The next hard piece to figure out is the license management. 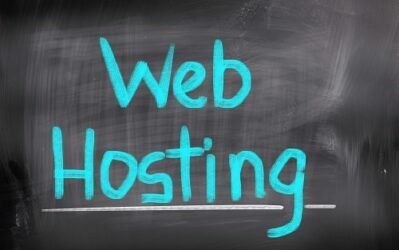 I am a web developer and built many license servers in the past. I need to stop being so much of a developer and more business oriented. So I looked into third party license management solutions. I ended up going with Easy Digital Downloads, which does license management (including handling the interface for my payment gateway). Its not perfect, but at least I didn’t have to build it myself. There are lots of pieces to the puzzle, but the good news is those pieces exist. You just need to be able to find them and put them together. Yep, developing software comes with risked. Finding a great developer you can trust will hopefully eliminate most of the issues that you and I both ran into. Spencer, GIVE ME MY SOURCE CODE. lol. Spencer great POST. To be honest i think the cheap programmer was actually right about the source code. It was just because you had no idea about whether you should had negotiated on the source code too. I am a programmer myself and believe the best approach when hiring a freelancer is also to negotiate for the source. This is a very great and informative post. THANKS MAN. Hehe…glad you like the post Stephen! People should definitely make it clear in the hiring process what the ownership rights are for the source code. That’s great that you’re sharing the backstory on Longtail again – those are some great nuggets on what to do and what not to do. Honestly, the thing that impresses me the most about the story is how you were able to pivot and rebound on the bring of disaster. I think that’s where most people would fold up shop, and it’s really encouraging to hear that you can power through and turn failure into outstanding success! I definitely considered folding up shop, but sure glad I stuck it out! You know… I feel so lucky now. Besides being an Internet marketer, I’m originally a web developer and a computer programmer (and I still draw cartoons and edit images on the side). I don’t mean to brag but this sure comes in handy, since I wouldn’t have your courage to trust someone else with my software development. The thought of someone else hijacking my project’s code… I wouldn’t be able to sleep at night. Hopefully, you were able to find a great developer and now you’re proud of your product. And you should be, Long Tail Pro is top notch! Absolutely, I often envy those that can do all their own development…it’s a great skill to have! Yeah spencer, it great to be a programmer. But believe me, it takes vision and imagination to come out with a great idea. And then determination and consistent braintrust review. This is what Steve Jobs did with steve wozniak at Apple. Some of the programmers are exellent but it takes people like you to bring powerful softwares into the market. You know what, after reading about your About page. i think i want to learn more about business and marketing. GREAT POST AGAIN. I couldn’t agree more Stephen Aidoo! Being a programmer is great but without vision… forget about it! Just like you said: Steve Jobs always told us that the perfect spot is where creativity meets technology. If you have both, you’ll change the World. I could develop my own stuff but, let’s not forget, I can’t do it all by myself. It takes time and time, in the IM business, is something you don’t have a lot. It’s great that the second part rolled out and I’m looking forward to the next part of this series! For me, it’s hard to find developers who speak the same language. I’m in a underdeveloped country and most developers are not qualify for the job. In your opinion, which country has the most quality for the job? This article is a good reminder to all those who are planning to move into any business and are keen on hiring freelance manpower. Thanks Spencer. On the side note, I can imagine you typing “give me my code” in caps and the developer too reverting with $15000 in caps. That would have been some situation. Haha, thanks Mohammad. I didn’t actually write that in all caps or even those exact words to my developer. I was very kind and asked politely for the code; I had assumed he would be happy to. I’m not personally involved in or even thinking about any software dev currently, but was just chatting with Matt Wolfe on Skype the other day about a WP plugin he had developed called Viral Bully that hasn’t been updated along side WP in too long of a while and kinda “Stopped Working”. Matt just got super busy first with Bradley Will and the LTB project, then as of this past Feb, with Josh Bartlett and the BTH project / podcast. So Matt is now in a spot I’ve seen him a few times over the past few years of needing to find a great developer without anymore fuss n muss than absolutely required. I don’t think you guys really know each other yet, but being quite familiar with all 3 of you for several years now, running support for both of them at WPC and LTB since 2011 and being a LTP customer and avid follower of yours for almost as long, I REALLY think you guys would all connect quite well!! Thanks Jeff! I appreciate the kind words, and look forward to connecting with Matt. Hi Spencer, thanks for the useful tips. In my opinion, software business is one of the most challenging endeavors. Unlike physical products, software requires ongoing maintenance. Cross-browser/OS compatibility, purchase verification, and fixes/updates are several things that make me not to choose it as a main source of income. However, it may change in the future. And I agree with your principles (no need for a tech partner, avoid investors, and hire programmers who live in the US). Great post! I’ve been in the business of selling info-products for the 6+ years and I’m done with it. I’m ready to dive into software that makes people’s lives easier. Give away the info for free and sell them on the thing that makes their life easier. My problem at the moment is getting that idea for a software that I really think will be useful to people and that doesn’t already exist (and doing it well). I’ve had a few ideas but they all seem to be ideas that would cost $50k+ and over a year to develop. I’m off to read the first post in this series but I really appreciate you doing this. It’s very timely for me and gave some great insights! Thanks Matt for stopping by. Good luck finding that right software idea! May I ask you in which programming language LTB is coded? ty in advcance! LTP requires Adobe Air, so I am guessing that it is programmed using Adobe Flex. 1) your article mentions the (inevitable) “slip”. In project management this is also called “scope creep”. In PM, we typically try to combat this with a through basis of design/scope document that clearly outlines expectations and deliverables for a project. Most experienced PMs will tell you to avoid change as much as possible during product development and when potential new ideas arise, do a thorough analysis to see if they are critical to the success of the project or can be tabled for later development (scope creep items typically delay payment milestones for developers and can negatively affect project results from a human error standpoint aka cutting corners to get the lager project done in a now unreasonable time frame). 2) you seem to suggest that despite some of the headaches and lessons learned from going with a cheap developer that such a proof of concept via cheap developer is a good way to bootstrap. If you had to re-live your life, would you recommend going with a cheap developer again to prove the market? Great thoughts Chris! I actually do still see some value in getting something up as quickly and cheaply as possible. However, there is a fine balance there and may not work in many situations. I just wanted to say thanks for the post Spencer! This really shows what goes on behind the scenes of a successful venture. Many people like to boast about their final successes without mentioning all the kinks and pitfalls that have to be evened out before that success. Your experience on Freelancer is pretty much a true life example of what it’s like to deal with overseas talent. Now that I’m in the process of getting a custom product manufactured (of course, thanks to your Amazon case study) I deal with the broken English and 12 hour time difference too 🙂 But I do believe that physical products and service based projects are completely different. You are welcome Lisa! Thanks for the support, and good luck with your Amazon product! Sadly, Spencer’s experience isn’t unique when dealing with developers outside of North America, Western Europe and Australia/NZ. Even in the corporate world, many executives are willing to buy a team of 4-5 “developers” in a lower-cost region to save having to pay for a single developer in one of the aforementioned regions of the world. As a senior dev, I can’t even begin to count how many projects I’ve had to save from disaster, after a lot of these people either provide poor code and/or get a higher paying gig, and just drop the project altogether. I might outsource things like QA, support, and debugging to low-cost regions, but I certainly wouldn’t trust building the actual product, unless it was done by someone residing in the mentioned regions. Well said, Tom. It’s a tough lesson to learn, but you only have to learn once. Thanks for another great post Spencer. I’m a developer that helps people build niche software quickly and professionally. Let me know if I can help anyone in anyway. I can build your project or even just sit in on a Skype interview with a prospective developer. I see a lot of people hire freelancers to build their digital and physical product, how do you hugs guarantee that those freelancers or manufacturers won’t use what they create for you for their own, since they are the developers they have the ability to develop it more and hit your product. Like you long tail pro, or the FBA products, how do you guarantee the loyalty of those people? I’ve never had any issues with freelancers in that regard. Perhaps I’m just trusting, but I see no reason why freelancers would go behind my back. If you hire well, you can usually avoid these types of situations. There are many things to consider when hiring a software developer for your business but it all goes down to two things – skillsets and character. If the applicant doesn’t have these two very important things then he’s better off going someplace else.